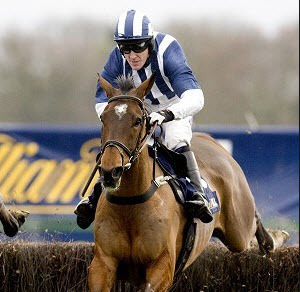 Racing’s the last game to be in if you are one for tempting fate so it is with a hopeful ‘touch wood’ that I say the National has always been one of my best betting races. It’s the only race I’ll back 5 or 6 different horses in but more often than not such a ‘system’ will bring profits. Before you go, remember to take a price, especially in the betting shop. Don’t just write the slip out and hand over your cash – ask for the price the horse is when you put it on. You’ll almost certainly get bad value if you don’t. You can see why here. Most think of the race as a complete lottery. It’s far from it. It takes an unusual type of horse to win the National – it’s the longest race of the season – 90 yards short of four-and-a-half-miles. The Aintree management are watering the track to soften the going and try to make it safer – horses run slower on easy ground, blunting the headlong speed which causes many of the falls. And if they do tumble, the watered surface is more forgiving. But it adds to the stamina requirements too, and stamina is the first thing I look for when picking horses for the National. Many go for jumping ability first but a horse could clear every fence by a foot and still lose if it hasn’t got staying power. On the other side, I’ve seen some horses who were not noted as fine jumpers run great races in the National – Sunnyhillboy, beaten a nose last year (weighed down by my money), Don’t Push It who won in 2010 and a few others. The Aintree fences are so unusual in look and size (at every other track the fences are of black birch), that many horses see them and simply say the equine equivalent of “F*#k me!” and realise they need to pick their feet up to survive. Others do the opposite and lose confidence, blunder along for a while then pull up or refuse. Those blunderers and topplers are the ones which can cause ‘our’ horses problems. Sometimes you get stuck behind one and trip over him as he rolls in front of you. Or they’ll come sideways and bump you off balance or knock the jock from the saddle. There’ll be a few hard luck stories on Saturday, there always are. Apart from those who’ve already completed the course in past Nationals, there are two horses running who will relish every yard of this trip they’ll be trying for the first time – Join Together and Teaforthree. Join Together is a nicely balanced horse, strong but not that tall. There have been some big horses who’ve won the National – Party Politics was huge, over 17 hands (a hand is about four inches and horses are measured to the top of their shoulders), but big horses can be clumsy round Aintree and their body mass can, I think, be a drawback over such a distance with drops on some of the big fences jarring that half-ton bulk as they land. Red Rum was under 16 hands, but he was a beautifully balanced horse, and I favour horses close to his build. Join Together’s not quite as symmetrical as that great horse but he will do. 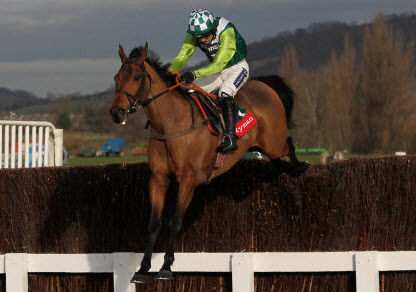 He’s trained by Paul Nicholls, one of the best, who trained last year’s winner Neptune Collonges. Ruby Walsh, who has first choice of Paul’s horses has decided not to ride Join Together – Ruby has yet to confirm which of two Irish horses he will ride and he will, as ever, leave Ruby Choose Day as late as possible – most seem to think he will pick On His Own. But he could have chosen Neptune Collonges last year and did not do so (albeit a late injury kept Ruby out of the race anyway). Join Together ran over these fences in December on heavy ground over a distance about a mile short of Saturday’s. He just failed to catch Hello Bud after coming with a sustained run (you can see the race here – scroll forward to about 6 minutes 30 to see him finish). He jumped with confidence and seemed to enjoy the fences (touching wood again here!) and unless he trips over something, he should reel them all in on the run from the last fence at about 4.25pm on Saturday. Next time out, his trainer, for some crazy reason sent him over 3 miles at Doncaster one of the easiest tracks in the UK and very undemanding from a stamina viewpoint. He met some trouble in running there and was pulled up but would, in my opinion, have needed 5 miles at Doncaster to win, such is his need for a stamina test. Teaforthree is another stout stayer and fine jumper. I’ve bet him too but was a wee bit concerned at his poor display at Haydock last time. His trainer put that down to the horse fretting at being away from home overnight (see, they are all individuals like us: some hate sleepovers) and he will travel up on Saturday morning to try and keep him settled. Other than that last disappointment, Teaforthree has been very consistent. He’s won over 4 miles at Cheltenham and he almost certainly still has improvement in him. He jumps well and I backed him to win the Welsh Grand National: he was 2nd giving plenty weight to a pretty decent horse. It was a close choice between the two but there is just a chance that Teaforthree might not take to these fences while I know that JT has no problem with them – that decided it for me. Ballabriggs has been in and out of my mind. He won the National two years ago and was 6th last year. None of the last ten National winners has, so far, won another race of any kind. It’s massively taxing and Ballabriggs won in sweltering conditions under very strong driving (J Maguire hit him 15 times after the last, at least half of those unnecessary and bad for the race’s image but I’ll say no more on that). I thought Ballabriggs would never recover from his victory and his 6th last year surprised me. He ran well at Kelso this year and has 8lbs less to carry than in 2012. If he stays on his feet (and he’s managed that twice in this race) he will be very very hard to keep out of the first 6. Others I’ll be betting are Quel Esprit, a classy grey horse who, in the main, jumps very well and, importantly, can slot into a rhythm quickly in his races; that is so important at Aintree. A horse galloping well within himself in a settled rhythmical fashion can save an awful lot of energy. Quel Esprit has never tried this long trip but his breeding suggests he has a fair chance of staying it and he has a considerable measure of class which can count for an awful lot in these handicap races. He is ridiculously overpriced at 50/1 (with other bookies) and well worth a couple of quid each way, even at 40s with Betvictor. Saint Are is another 50/1 chance who could run well. Some horses love a certain track and Saint Are loves Aintree. From 3 runs here he’s won two and been second in the other one. Now those were over the smaller Mildmay course, not the Grand National course. 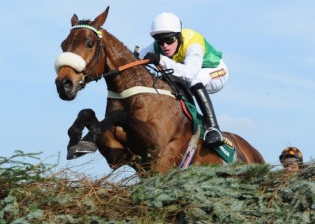 But his trainer reckons it is the flatness of Aintree that suits him and maybe the time of year sparking him off. He’s one for making the odd mistake (Saint Are, not his trainer), but the very type I mentioned earlier who’ll go “WTF! ?” and either jump them all clean or pack in early. That’s it. Good luck, and remember, there’s no such thing as ‘good inside information’ getting out. If it is so good, those concerned keep it to themselves, otherwise the horse’s price collapses. Trainers, owners and jockeys are the worst tipsters in the world because they are born optimists who favour their own horses. Don’t bet more than you can afford to lose. Enjoy the race and let’s hope all come home safe.